Hoverla (sometimes written "Goverla") is the highest top of Ukraine (2061 m.) and in translation from Hungarian its name means a “snow mountain”. 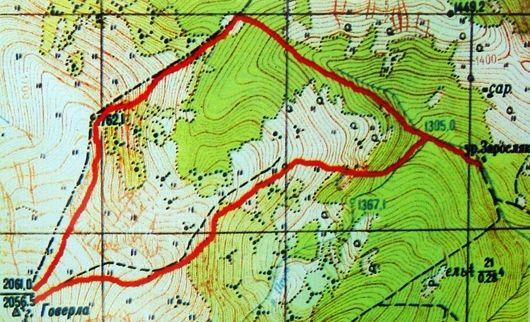 It is lockated on the border of Transkarpathian and Ivano-Frankivsk region. 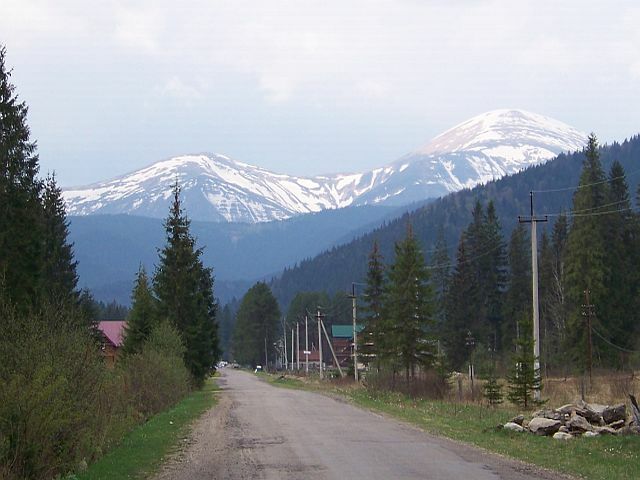 To the foot of Hoverla we get by bus or by car and the rest of the distance (4 km.) we overcome on foot starting at the sports base “Zaroslyak”. The admission to the teritory of the preserve is paid. To the top of Hoverla we move along quite slanting footpath. If the weather is favourable, ascent usualy takes 3 hours. 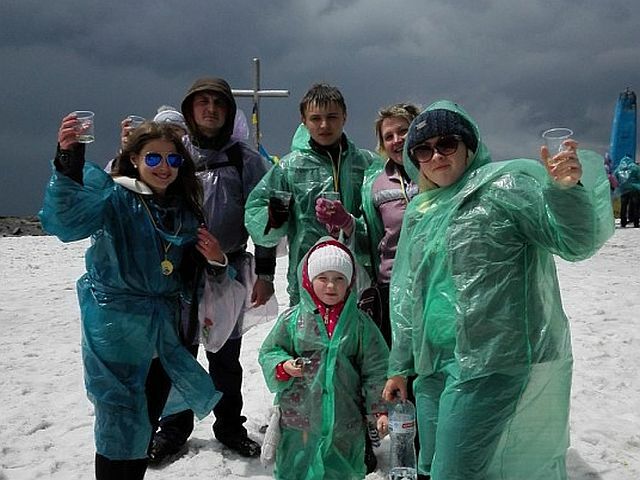 The top of Hoverla is a small platform which offers a beautiful panorama. From this spot one can clearly see mountain villages, lakes, streams and paths that run down from the rocks and get lost somewhere among the wooded slopes. A unique combination of green and blue tints of distant peaks of the Carpathian Mountains always remains in the memory of those who have ever visited this place. The reverse route is slightly steeper and shorter. It runs along the waterfall Prutets and the ravine where the river Prut originates. The tour is performed by a comfortable tour van "Opel-Vivaro". The duration of excursion depends on your wishes (from 15 hours). Call your private guide now!